What are the best places to visit in Mexico? With bustling cities, pristine beaches, colorful hill towns, ancient ruins, and natural wonders, Mexico is the gift that keeps on giving for travelers. Unfortunately, many skip Mexico entirely thanks to its less than stellar reputation. While there are certainly dangerous areas, most of the best places to visit in Mexico are quite safe. Would you skip out on the Grand Canyon because you read about violence in Chicago? I didn’t think so! 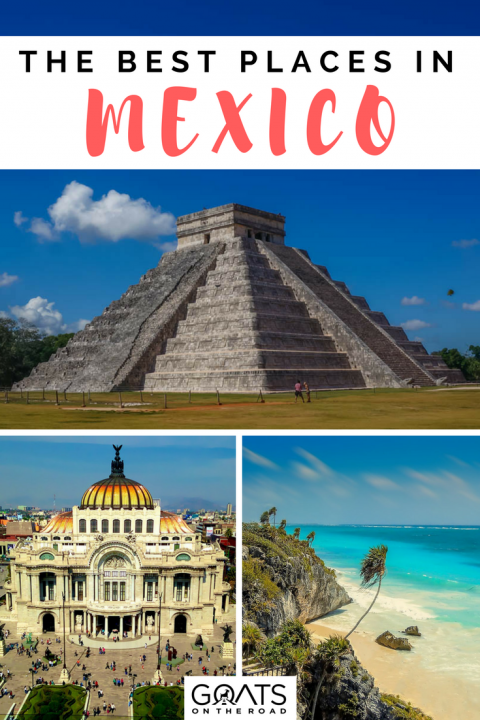 With so many amazing places to see and things to do in Mexico, give yourself some time here. Mexico travel is exciting, simple and affordable. 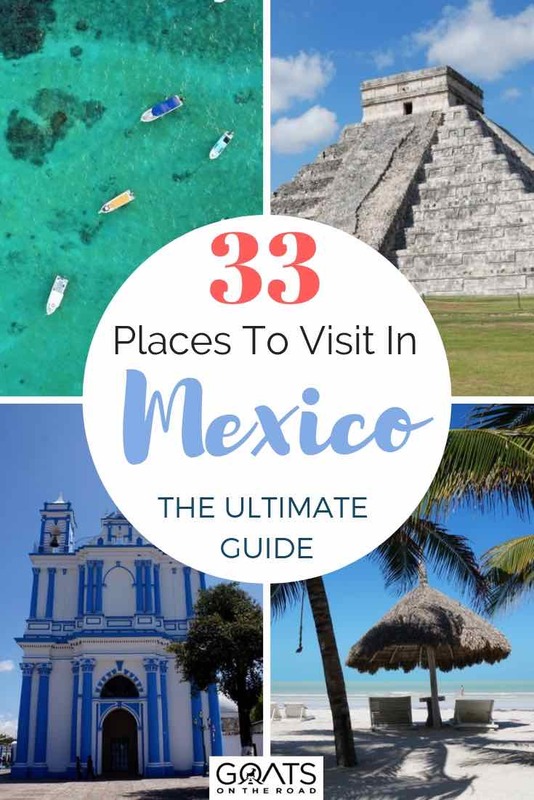 Check out this list of the 33 top places to visit in Mexico and start planning your trip to the land of tequila and tacos. When it comes to the best places to visit in Mexico, we have to start out with the country’s vibrant capital city. Mexico City (or DF as it’s known to locals) is one of the liveliest cities out there. There are so many things to do in Mexico City that even a week isn’t really enough. Spend your days visiting museums on a wide range of topics, from anthropology, to art, to history, and even tequila. You can also see the ruins of the former Aztec capital city and a stunning cathedral right downtown. Sightseeing is great in Mexico City, but it’s the culinary and nightlife scenes that make it one of the best places to visit in Mexico. Foodies and party animals alike will be in paradise here. You’re spoiled for choices with a bounty of street food, international restaurants, bars, and clubs. There are endless things to do in Mexico City, with every night out being a great one. Check out the “Streets, Beats & Eats” of Mexico City in this video tour. Mexico’s 2nd largest city definitely lives in the shadow of the capital, but Guadalajara has enough going on that you should also include it when choosing your places to visit in Mexico. 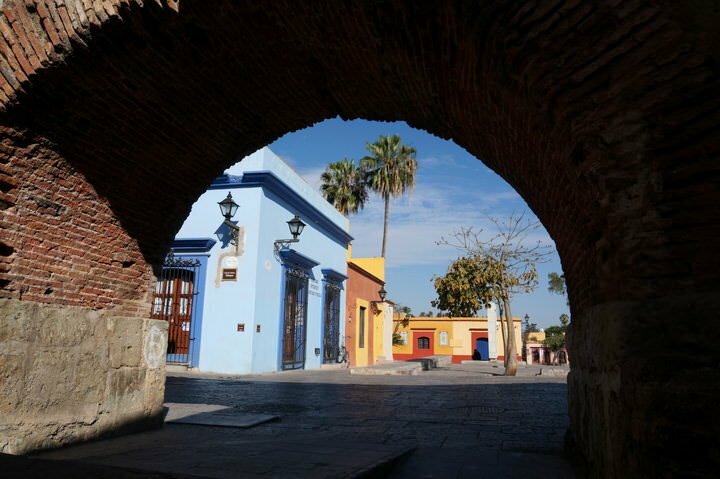 After all, this is the birthplace of tequila and mariachi. In addition to sampling both (ideally at the same time), there are quite a few cultural sights to take in. Most of these are located in the Centro Historico and are easily visited in a day. For sports fans, Guadalajara is home to two football teams. You can catch the wildly popular Chivas or the ultimate underdog Atlas for a wild, beer-soaked good time. No visit to Mexico would be complete without an evening of lucha libre, and the Estacion Pub runs a great party bus to the arena every Tuesday night. Be sure to grab a colorful mask as a great souvenir. When backpacking Mexico, don’t miss all of the amazing things to do in Guadalajara and the party nights! Do a quick Google search of the best places to visit in Mexico, and you probably won’t find the country’s 3rd largest city on there. 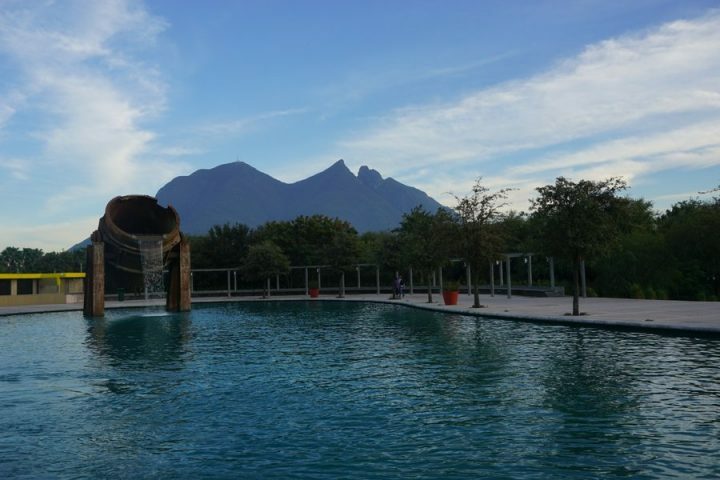 Known more as an industrial city, Monterrey often flies well under the radar of tourists. Surrounded by epic mountains, it’s actually a great choice for eco-tourism and you can enjoy hiking, mountain biking, rock climbing, and more, all within reach of the city. Epic mountains are just one cool thing about Monterrey. In the city, you can enjoy a stroll through the Macroplaza to take in some cutting edge architecture. After visiting the massive Mexican History Museum, take a boat cruise up the manmade river to Parque Fundidora and stick around for sunset. Be sure to work up an appetite and dig in to a plate of cabrito (slow roasted goat), the local specialty. 4. Puerto Vallarta – Definitely One of The Best Places to Visit in Mexico! Forget the touristy Yucatan area and head to Mexico’s west coast for your beach vacation. Puerto Vallarta has been making lists of the best places to visit in Mexico for decades now and for good reason. While it is well-known as an all-inclusive resort and spring break party destination, PV is so much more than that. Adventure junkies will love this place, as you’ve got sky diving, bungee jumping, and paragliding all on tap here. Speaking of on tap, PV has two craft breweries and several fantastic cocktail bars. The real fun goes on outside of the resorts in town, where the party goes all night. There are endless things to do in Puerto Vallarta! Having spent six months in Puerto Vallarta, I can say with confidence that this is also a great place to live. Although it’s on the coast and is wildly popular, it’s surprisingly affordable. Read more about the cost of living in Puerto Vallarta and you’ll be ready to move there as well. How does a pristine and undeveloped stretch of beach sound? If you’re into that, you should probably be planning a trip to this gorgeous part of Oaxaca. Huatulco is home to nine bays and thirty-six beaches, and many of them of them are ecological preserves where development is not allowed. It’s actually the only resort area in Mexico that has won a Green Globe award. In addition to sunbathing, you can also visit nearby coffee farms and waterfalls or join in a rafting or cycling trip. This hidden gem is mostly popular with domestic tourists, but it won’t be long until the secret is out. 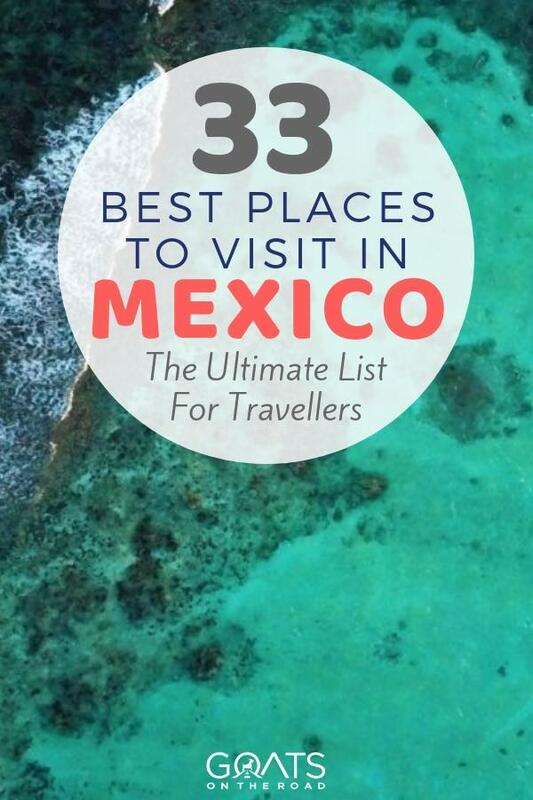 This is definitely one of the best places to visit in Mexico this year, so start planning! *Bonus, check out nearby Puerto Escondido in Oaxaca too! 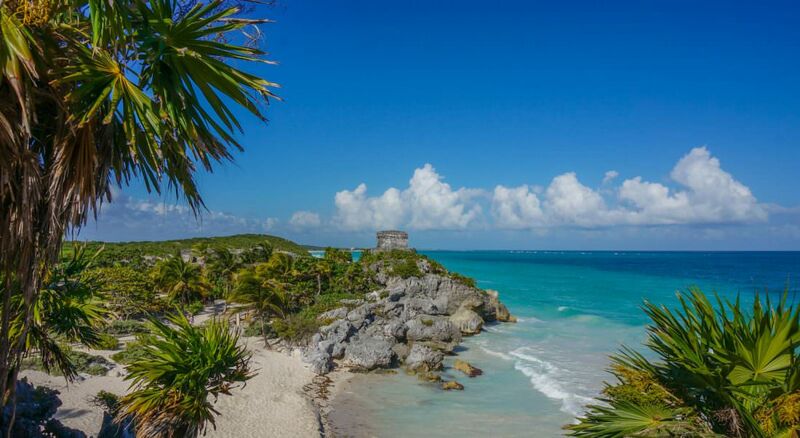 Once upon a time, Tulum was considered an off-the-beaten-path destination in Mexico. The path has definitely been beaten now, as more and more travelers flock here for the white sand and turquoise waters. That being said, you’ll still find far smaller crowds here than you will in nearby Cancun and Playa del Carmen. Just be sure to get to the ruins early in the morning to avoid the tour buses. The beaches are great here, but you can’t come to this part of Mexico without taking a dip in a cenote. These sinkholes are abundant in the Yucatan, and they’re a great place to do a bit of snorkeling or scuba diving. Back in town, you’ve got tons of choices to wine and dine the night away. Although not a hidden gem, there are numerous fun things to do in Tulum and it’s still one of the best places to visit in Mexico. 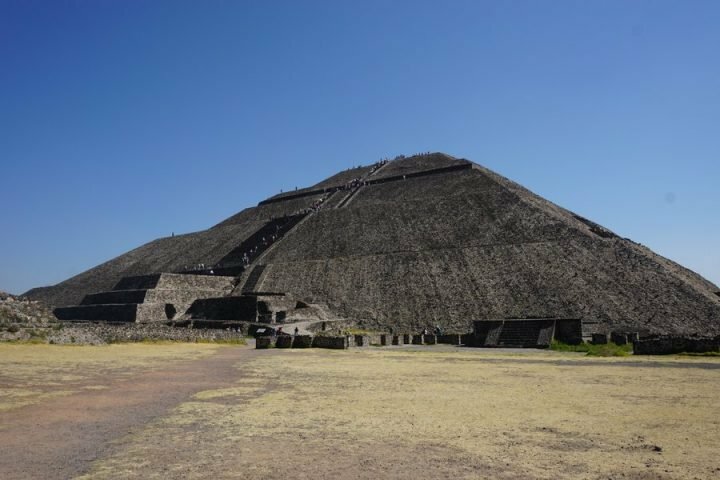 When visiting Mexico City, be sure to set aside a day to explore the ancient city of Teotihuacan. It was the largest pre-Colombian city in the Americas, with a population of around 150,000 at its peak. As the legend goes, this is the place where the gods planned the creation of man. Here you’ll be able to climb on some of the largest ancient pyramids in the world. After taking in the views from atop the Temple of the Sun, you can sit down to lunch in a cave. La Gruta is located right outside of the ancient city and is the perfect place to cool down. Oh yeah, the food is pretty good, too! If you’re into ancient ruins, make sure you spend some time around the Yucatan, visiting the other amazing ruins of Ek Balam, Coba and Chichen Itza. Enjoy this short video tour of the ruins. 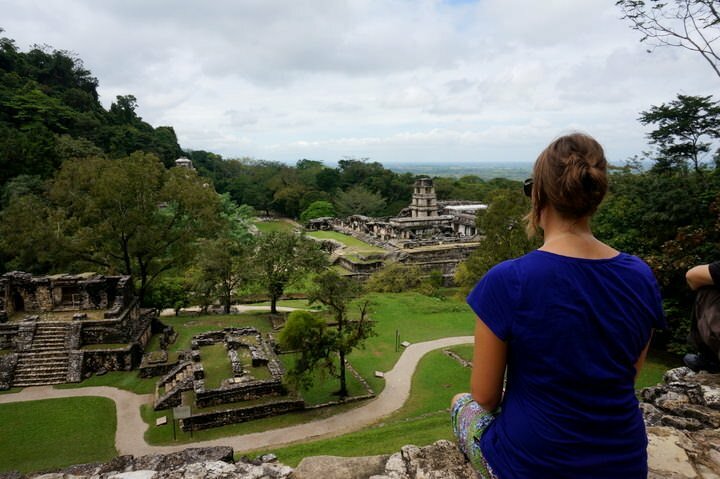 Located in the state of Chiapas (which in itself is one of the best places to visit in Mexico), the Mayan ruins at Palenque are much smaller than some of the more well-known sights. Surrounded by jungle and far from any major city, it also means that they’re far less crowded. In addition to exploring the ruins, you’ve also got several waterfalls and caves in the area to check out. While some visit the ruins on a long day-trip, you’re better off basing yourself in one of the cool forest hideouts. Spending the night at one of these funky spots allows you to get an early start and take in the ruins before the hottest part of the day. 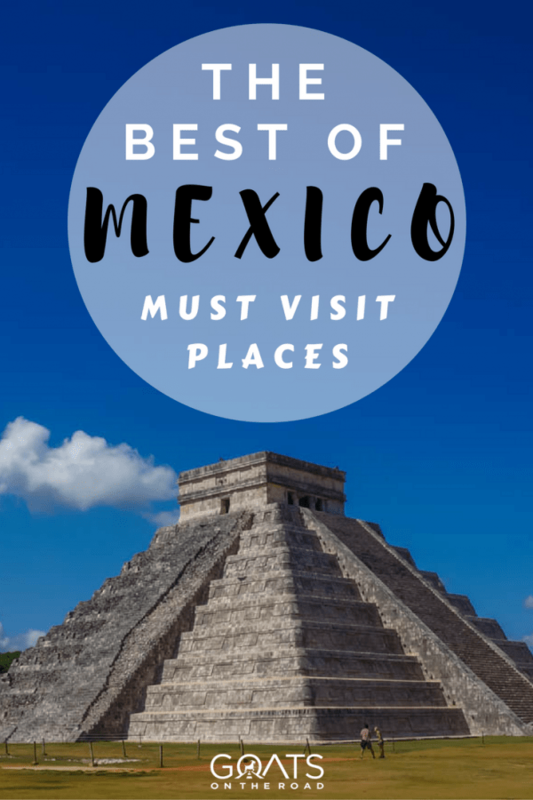 As one of the New Seven Wonders of the World, it should come as no surprise to see Chichén Itzá on a list of the top places to visit in Mexico. Be prepared to be awestruck by the amazing El Castillo (The Castle), which was built to honor a Mayan serpent deity. This is one place where it’s well worth it to shell out a few extra pesos for a guide, so you can learn the fascinating details of this impressive structure. Hands down one of the best places to visit in Mexico. While hordes of tourists descend upon the site on a daily basis, it’s very easy to escape the crowds. Stay at a hotel a few miles up the road rather than visiting on a day-trip, and you’ll almost have the place to yourself in the early morning. Even the vendors and touts aren’t going yet when the doors open. 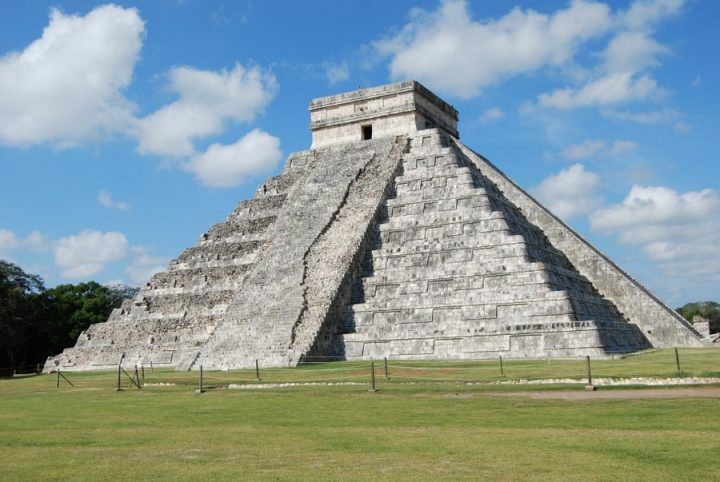 Visiting this incredible site is one of the best things to do in Playa del Carmen, and Mexico in general. A longtime favorite destination for “Mexpats,” San Miguel de Allende was recently awarded the Best City in the World by Travel + Leisure. This charming, colorful city boasts a temperate climate, a vibrant arts scene, and a beautiful church at its center. 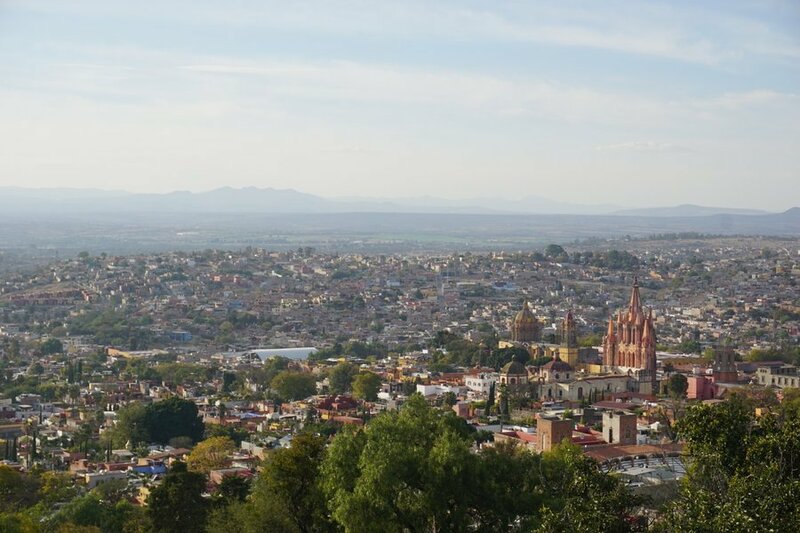 There are numerous things to do in San Miguel de Allende to keep you busy. Outside of town, you’ll find hot springs, horseback riding, cycling, and more. While it’s true that San Miguel is somewhat of a “Gringolandia,” that doesn’t mean you can’t enjoy a local experience here. It’s one of the best places in Mexico to study Spanish, and there are several options for homestays where you can live with a local family and get lots of practice. 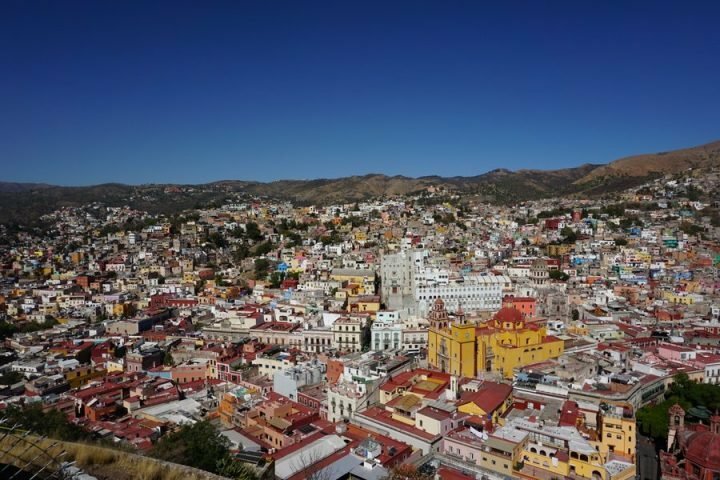 If you’re looking for somewhere a bit more authentic, check out the things to do in Guanajuato, which is just an hour and a half away. 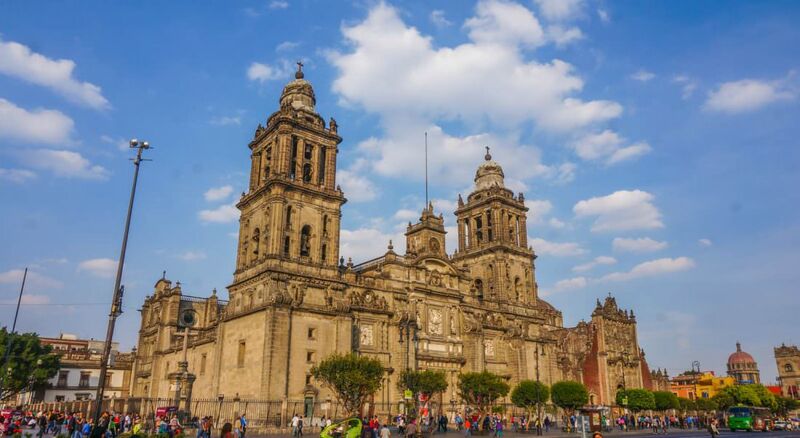 This beautiful colonial city is the capital of the state by the same name, and it definitely earns its spot on the list of top places to visit in Mexico. In case you were wondering, it’s pronounced wa-HAH-ka. Here you’ll find some of the best cuisine in Mexico, bustling markets, and a thriving arts and crafts scene. Oaxaca is also home to the Guelaguetza festival, which highlights the indigenous culture of the area and is focused primarily on traditional dancing. The city also throws one of the biggest celebrations in the country for the Dia de Los Muertos (Day of the Dead) – this is definitely one of the best things to do in Oaxaca, don’t miss it. 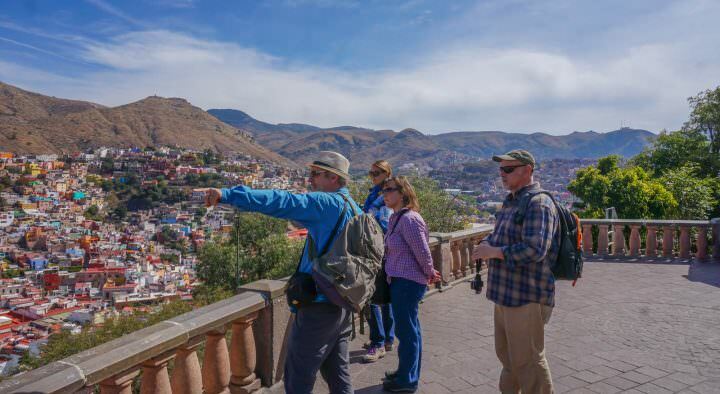 Once a thriving silver mining town, Guanajuato is now a huge draw for tourists and expats. It’s a gorgeous city located on the steep slope of a ravine, with a name meaning “Place of the Frogs.” Walking around town, you can admire the colonial architecture and bright houses, pausing to chill in tree-filled plazas or quaint cafes. It’s a very cultural city, with plenty of museums, theaters, music venues, and festivals. Be sure to join a walking tour with the city’s famous callejoneadas, a band of musicians and story-tellers who lead you through the meandering alleyways on a musical journey like no other. 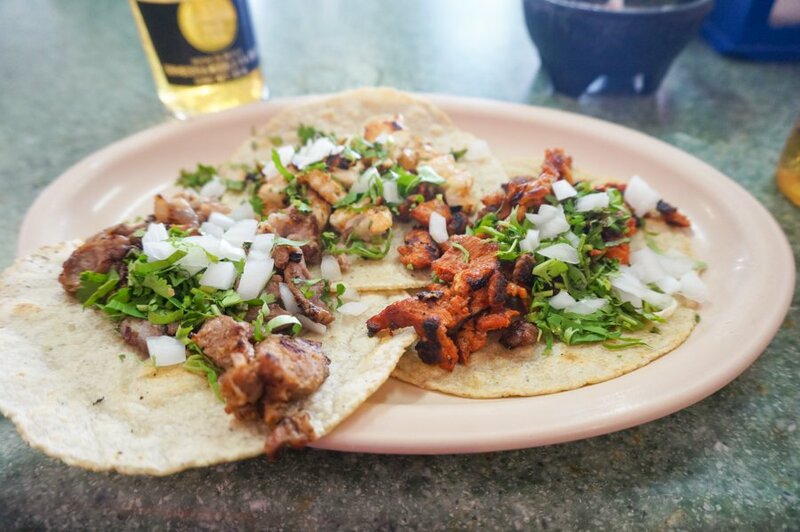 There are numerous things to do in Guanajuato, including a great food tour, for those of you who want to eat all of the tacos and then some. With colourful buildings, historical sites and an awesome vibe, Guanajuato is definitely one of the most vibrant places to visit in Mexico. 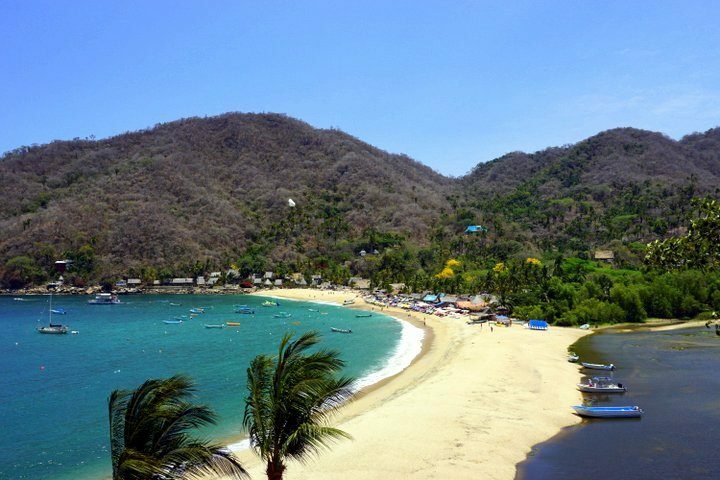 Those looking to escape the all-inclusive resorts, chain stores, and packaged tour groups that descend upon Puerto Vallarta should consider hopping on a speed boat and heading 45 minutes south in the Bay of Banderas to Yelapa. It’s not an island, but it sure feels like one. Since it’s wedged in between the mountains and the ocean, there are no roads or cars here. Slow down and relax in Yelapa. This small fishing village once attracted famous actors and musicians (like Bob Dylan), who sought an escape here in this little slice of paradise in Mexico. You might not find Mr. Tambourine Man hanging in Yelapa anymore, but you’ll be able to enjoy horseback riding, hiking to a waterfall, or just chilling in a hammock listening to the sounds of waves crashing and kids playing. Life is slow here, and life is good. Los Cabos is the collective name for two towns found at the southern end of Baja – Cabo San Lucas and San Jose del Cabo. This was a remote, rural area until a few decades ago when the Mexican government developed it for tourism. 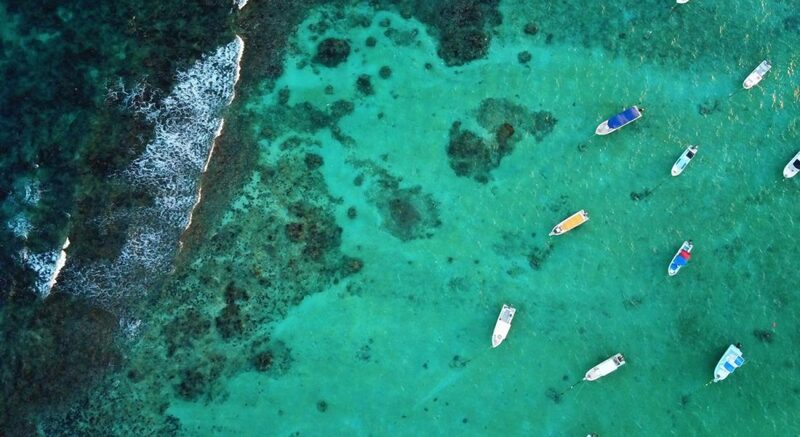 It’s now one of the most popular places to visit in Mexico, famed for its world-class beach resorts, excellent sport fishing, and championship golf courses. The two towns are only about 20 miles away from each other, but they feel world’s apart. 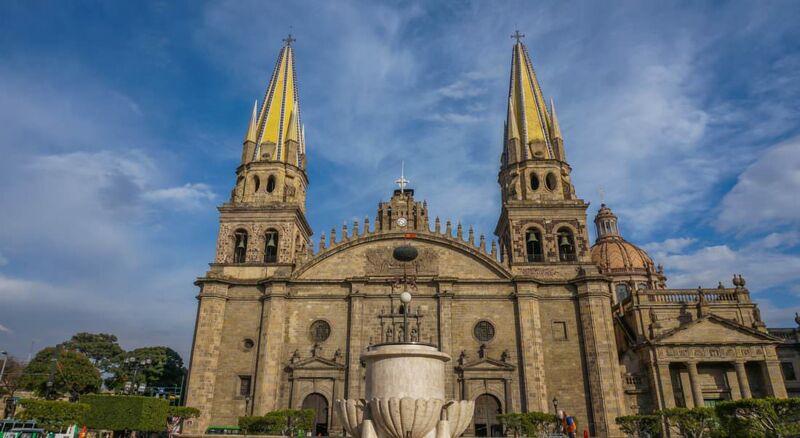 San Jose is a more traditional Mexican town that still has cobblestone streets and a tree-lined plaza centered around a gorgeous cathedral. Cabo San Lucas, on the other hand, is far more touristy and is known for its raucous nightlife. 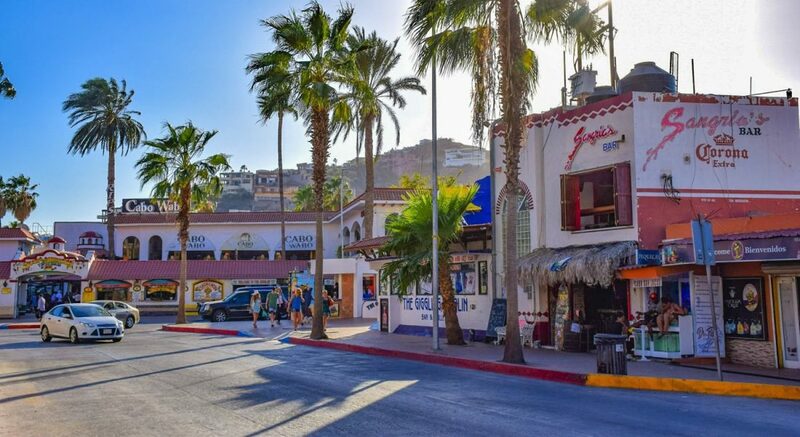 There are may of other things to do in Cabo San Lucas if you aren’t into partying, so give yourself some time here to explore. 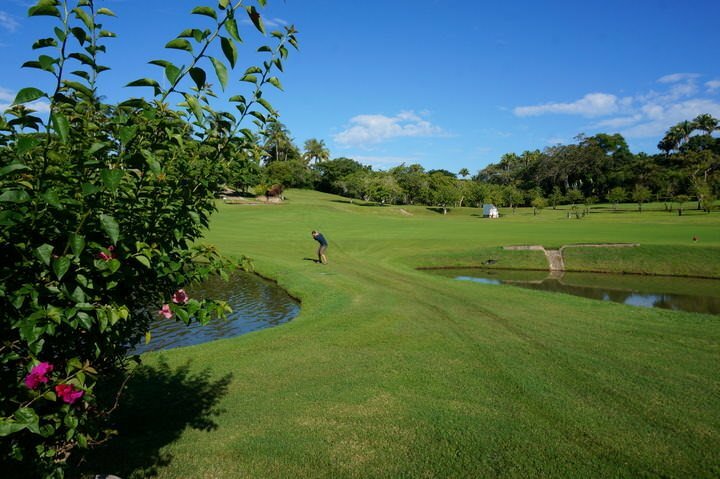 There’s now a corridor of resorts and golf courses in between the two towns where many vacationers choose to stay. Once a sleepy fishing village, Zihuatanejo experienced a tourism boom with the development of the nearby resort city of Ixtapa. Skip the government-planned resort and head instead to this chilled out town that locals simply call Zihua. Roam the cobblestone streets, feast on the super fresh catch of the day, and just kick back and relax on the idyllic beaches. If this seems familiar, that’s because this is the paradise that Andy and Red escaped to in The Shawshank Redemption. After a few days lounging in Zihua, you’ll probably be planning your permanent escape here as well. If you’d like to add a Caribbean island to your Mexico trip, you can catch a quick ferry from Playa del Carmen over to Cozumel. The main draw here is the incredible diving and snorkeling that’s quite possibly the best in all of Mexico. There are tons of dive shops here, and it’s a great place to finally get certified if you’re not already. There are numerous things to do in Cozumel, so rather than just visit on a day trip, it’s well worth it to spend a few days here. Rent a scooter and explore small Mayan ruins, an excellent national park, and the rugged beaches on the east coast. You’ve got plenty of choices when it comes to places to stay, eat, and party here, but it’s still far less developed than its neighbors over on the mainland. “The San Francisco You’ve Never Heard Of” is a popular nickname for this beach town. It’s more commonly referred to as San Pancho, and it’s a little slice of paradise on the Pacific coast of Mexico. While it’s just up the coast from Puerto Vallarta and Sayulita, it’s less built up and crowded than its neighbors. Even though it’s a small, sleepy pueblo, there are plenty of things to do in San Pancho. You can take yoga classes, go golfing, check out the polo club, volunteer at the excellent community center, and so much more. Not bad for a little beach town of only 2,000 people! 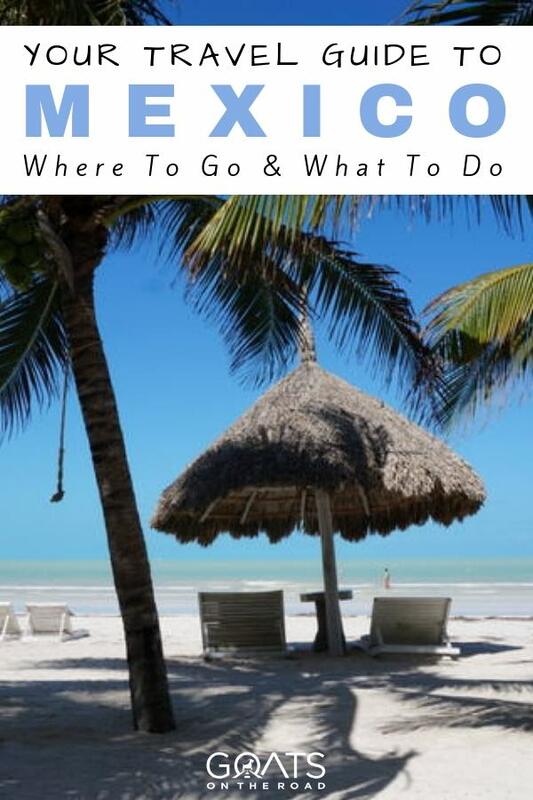 Often touted as Mexico’s best-kept secret, Holbox is a tiny island off the north coast of the Yucatan peninsula. This is a great spot for wildlife spotting, highlighted by the whale sharks that visit in the summer months. There’s not much else to do here, but that’s the point. Simply enjoy this beautiful, laid back place where you can spend a majority of your time barefoot. 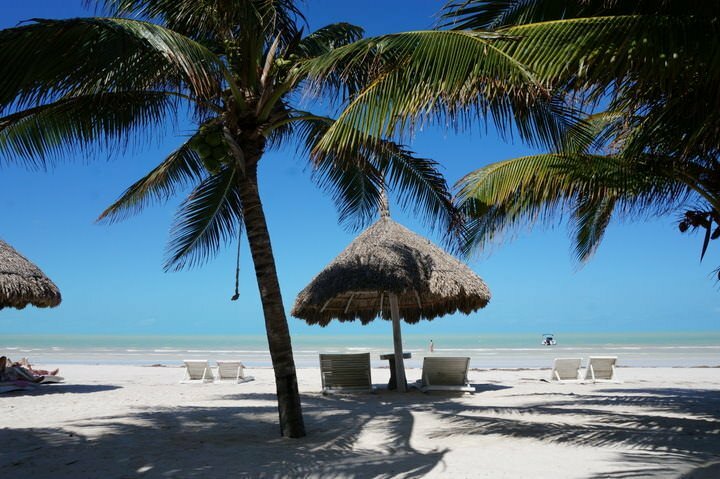 Isla Holbox is one of the top places to visit in Mexico if you’re seeking some relaxation. To get here, you’ll need to drive or take a bus to the town of Chiquila and then catch a ferry. Cars are not allowed on the island, so if you do have one you’ll need to leave it parked in Chiquila. Since there are no cars here, your options for getting around include rented bicycles or golf carts. The “Women Island” is located in the Caribbean, just a few miles off the coast from Cancun. If you’re wondering where the name comes from, it’s because the island was once a Mayan sanctuary dedicated to the goddess of childbirth and medicine named Ixchel. When the Spanish arrived and saw all the images of the goddess, they called it Isla Mujeres. While most travelers simply visit for the day, for such a small island there are many things to do in Isla Mujeres and it’s definitely worth a longer stay if you’ve got the time. 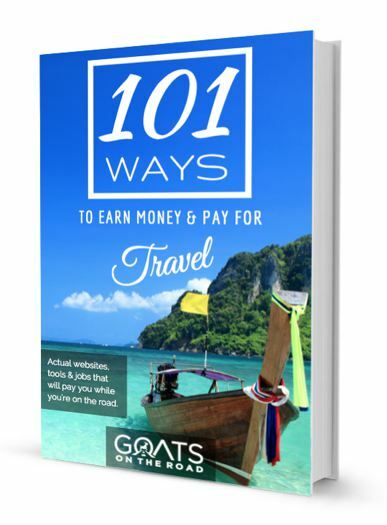 Rent a scooter or a golf cart and spend a couple of carefree days beach hopping and enjoying the relaxed pace of life. Although it’s often mentioned on lists of the most beautiful cities in Mexico, Morelia still remains off the beaten path. The capital of Michoacan, this gorgeous colonial city is so well-preserved that it was given UNESCO status in 1991. There are over 200 historic buildings here that were built out of the pink stone that’s characteristic of the region. Morelia is also a cultural hub in Mexico. The city is home to several big events and festivals throughout the year. Whether it’s food, dance, or film, there’s probably something going on in Morelia. If you’re looking for a more authentically Mexican experience in the Riviera Maya than what you’ll find in Cancun or Playa del Carmen, look no further than Puerto Morelos. This peaceful beach town is located between the two tourist hot spots, meaning you still have easy access to both. Although it’s geographically close, Puerto Morelos feels world’s apart from the glitz of Cancun. You won’t find massive resorts in town, as buildings are limited to three stories here to retain its small-town feel. If you still want that luxurious vacation, though, there are some amazing resorts on the coast. Just off shore is the Great Mesoamerican Reef, which is the second largest reef system in the world. This is one of the best places to visit in Mexico if you’re into snorkeling or scuba diving. Located just south of the US border with San Diego, Tijuana is one of Mexico’s fastest-growing cities. It’s a pretty wild place, to say the least. Gringos flock here for cheap everything – dental work, pharmaceuticals, eyeglasses, Cuban cigars, plastic surgery, and a good time. If you can look past the absurdities like donkeys painted as zebras for you to pose with, there’s plenty to discover in Tijuana. The city has an impressive art scene, which is centered around the massive Centro Cultural Tijuana. You’ll find plenty of vibrant street art here as well. Tijuana loves its sports, as the city is home to several professional teams. You can also catch a night of lucha libre wrestling while you’re here. Of course, you’ll also want to indulge in the city’s famous nightlife scene, whether it’s trying out the various craft breweries or doing a tequila tasting. For Americans, Tijuana is one of the easiest places to visit in Mexico, but it’s still worth a visit if you’re not coming from the States. The name of this Oaxacan beach town translates as “Hidden Port” in English. Despite being a longtime favorite of surfers and backpackers, it remains a relatively undiscovered corner of Mexico. That’s probably because there are no flights here from the US or Canada, and it’s a bumpy 7-hour bus ride from Oaxaca City. It’s well worth the effort to get here, though! Even if you’re not here for the waves, there’s plenty to keep you busy. You can take a boat tour to spot marine life, swim in the bioluminescent lagoon, or even go sky diving. After all that excitement, kick back and relax in a temazcal – an indigenous steam bath. Don’t miss our Travel Guide to Puerto Escondido. New Orleans and Rio may get all the hype, but did you know there are plenty of huge Carnaval celebrations in Mexico as well? One of the most famous takes place every year in the coastal city of Mazatlan. 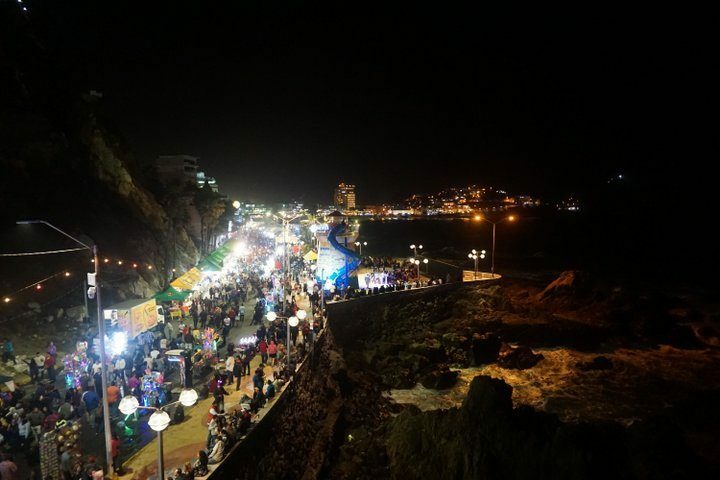 For one week, the oceanfront Malecon is packed full of revelers who come out to enjoy the massive parade, fireworks, live music, and the epic party that ensues. The Malecon is packed during Carnaval. Outside of Carnaval, there are still numerous things to do in Mazatlan. Explore the beautiful historic centre, take part in some water sports, play a round of golf, or just go lounge on the beach on nearby Stone Island. See what Carnaval in Mazatlan is like in this short video. Valladolid is a fine example of the blending of cultures that exists across Mexico. The colonial city in the Yucatan is just as much Mayan as it is Spanish. Walking around the main square, you’ll see women wearing traditional Mayan dresses walking by the pastel buildings and the beautiful central cathedral. The pace of life is slow here, as most shops shut down for an afternoon siesta. There are thousands of cenotes (underground sinkholes) around the Yucatan, and you can easily visit several of them from Valladolid. There’s even one just a short walk from the square. The impressive ruins at Ek Balam are nearby as well. Unlike Chichen Itza, you can still climb up the ruins here, and you may even end up with the entire place to yourself. The colorful capital of the Yucatan state, Merida was recently named the Latin American Capital of Culture. Its culture is a unique blend of ancient Mayan traditions and customs brought by the Spanish conquistadors. Days here can be spent taking in the gorgeous architecture, visiting world-class museums, and of course, digging in to the mouth-watering cuisine. If you’re looking for the perfect base to explore all that this corner of Mexico has to offer, look no further. From here, you’re just a short ride away from the beach, numerous archaeological sites, and plenty of opportunities for adventure. It’s a great alternative to the overly touristy places like Cancun and Playa del Carmen. All across Mexico, there are places designated as Pueblos Magicos (Magic Villages). 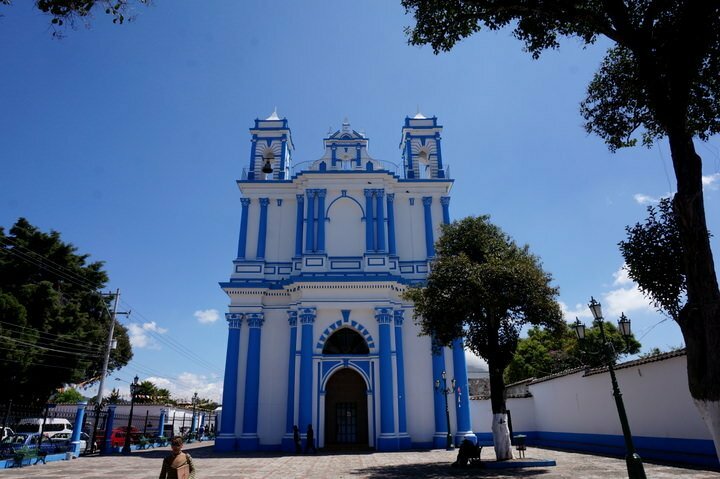 One of the best is the lovely town of San Cristobal de las Casas in the southern state of Chiapas. As with many other colonial towns, San Cristobal de las Casas features red-tiled roofs and scenic cobblestone streets. Start your day with some famous Chiapas coffee and head out to take in the plazas, museums, cathedrals, and markets. It lies in a valley and is surrounded by hills, meaning you have plenty of choices for getting out and enjoying the great outdoors. There are day trips to canyons, waterfalls, eco-reserves, and so much more at your fingertips here. Keep in mind that the elevation here is 2,200 meters, so you may want to get acclimated before doing anything too intense. Ah, Cancun – the gateway drug to travel in Mexico. This is the first place many people visit in the country, myself included. It’s probably the most popular tourist destination in all of Mexico, thanks to its picturesque beaches and wild nightlife. While it’s easy to dismiss Cancun as a sort of “Disneyfied” version of Mexico, it’s worth it to visit and make up your own mind. Once you get out of the glitzy hotel zone, you’ll find a truly Mexican city full of taco vendors, bustling markets, and rowdy salsa clubs. It’s not all beaches here! There are many cool things to do in Cancun that don’t involve laying in the sun. Cancun is considered to be the gateway to El Mundo Maya (the Mayan World), meaning you’re not far from several Mayan temples including the famous Chichen Itza. Before you head out there, be sure to check out the informative Mayan Museum in the city. 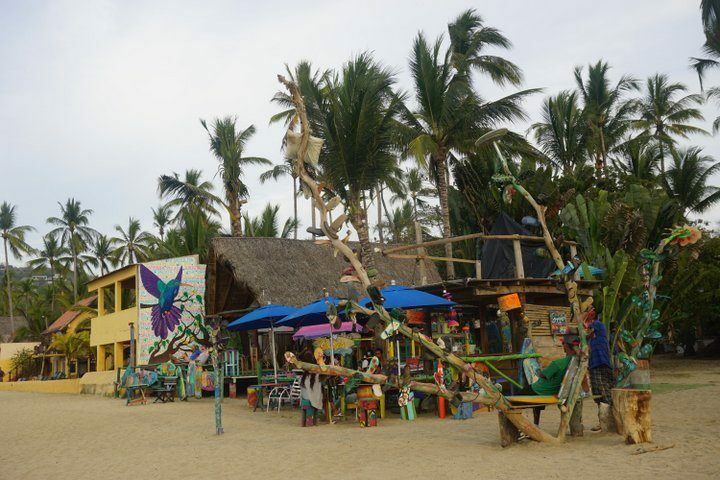 Just about an hour up the coast from Puerto Vallarta, you’ll find the bohemian beach town of Sayulita. This chilled out town in Nyarit attracts surfers, yogis, and artists looking for a more laid back vibe. If you’ve never been on a board before, this is a great place to learn. The waves are pretty calm and there are plenty of instructors available for hire. If you want to get off the beach for a bit, you’ve got a lot of different options. Sayulita is surrounded by jungle, where you can enjoy some hiking, horseback riding, or cruising on an ATV. Visiting between November and January gives you the chance to head out on a boat trip to do a bit of whale watching. Despite being the 4th largest city in Mexico, Puebla is often forgotten in the shadow of its neighbor – Mexico City. It’s only 110 km away from the capital, meaning you can easily visit on a day trip while you’re in CDMX. With a day here, you can explore the historic downtown area that was granted UNESCO status in 1987. Puebla’s biggest claim to fame is Cinco de Mayo. The holiday celebrates the victory of the local army over French expeditionary forces in 1862. You won’t find people chugging margaritas and stuffing their faces with nachos to celebrate, but you will find a festive atmosphere around the historic forts where the battle took place. Playa del Carmen is a popular beach destination located right in the heart of the Riviera Maya. It’s central location in between Cancun and Tulum (with easy access to Cozumel) makes it a great choice for a base from which to explore the region. 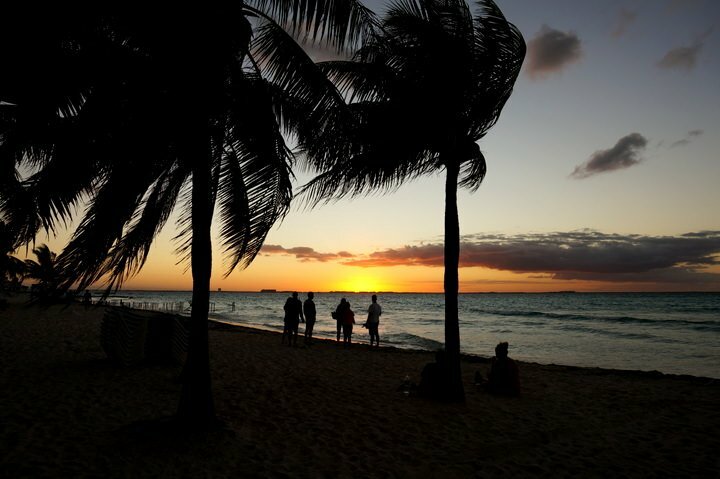 Playa – as the locals call it – is naturally home to several stunning beaches. Spend your days snorkeling, fishing, yachting, or just kicking back and chilling at one of the many excellent beach clubs. You don’t come all the way to Mexico just to sit on the beach, though. There are several eco-parks nearby Playa del Carmen, where you can enjoy some bird watching, explore caves and underground rivers, or even swim with sea turtles. Back in town, your options are endless for wining, dining, and dancing the night away. Oh ya, there are lots of fun things to do in Playa del Carmen. Just south of Guadalajara, you’ll find Mexico’s largest freshwater lake. Known for its pleasant climate, lovely scenery, and friendly locals, this is definitely one of the best places to visit in Mexico. 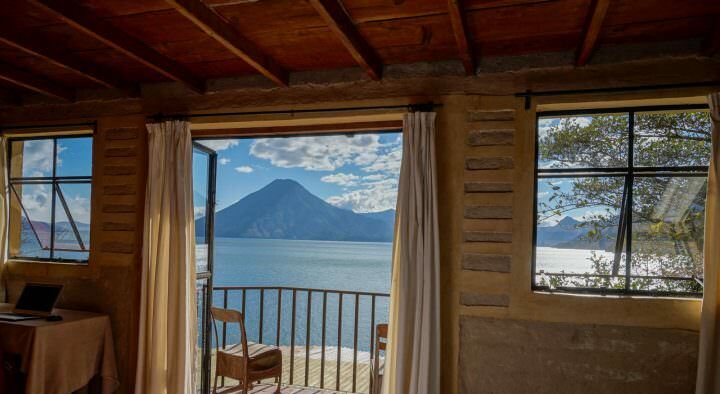 There are several towns around the lake, with the most popular being Chapala and Ajijic. While the lake is easily visited on a day trip from Guadalajara, you’re better off staying a few days. Just be warned that you may fall in love with the place and want to move here. And who knows, maybe someday you will. After all, it is one of the most popular retirement destinations in the world. Most travelers to Baja California Sur flock straight to Cabo San Lucas. If you’re headed to this part of Mexico, you might as well include a stop in La Paz. This scenic capital city has some amazing beaches on the Sea of Cortez. Fun fact – this sea is one of the most bio-diverse places on Earth! There’s an abundance of marine life here, meaning you can swim with sea lions, go diving with hammerhead sharks, and head out on a whale watching adventure. In order to see the majestic whales, you’ll have to visit between January and March. After all that fun in the water, you can enjoy a nice stroll on the long waterfront Malecon that’s full of shops, restaurants, and bars. 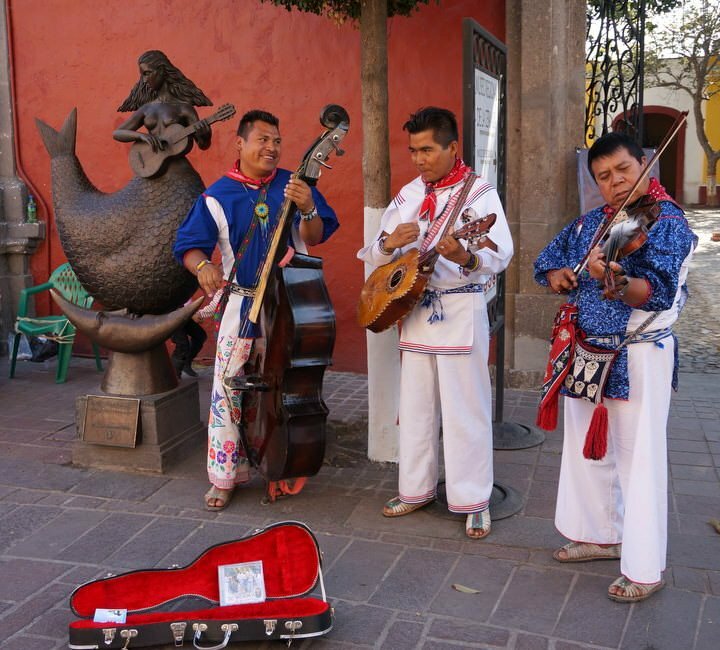 There’s a wide range of things to do in La Paz Mexico, make sure you add it to your list. 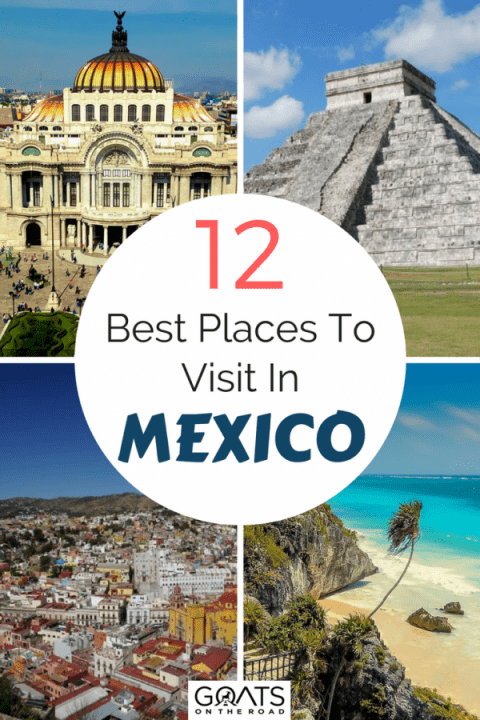 These Are Just Some of The Best Places to Visit in Mexico! 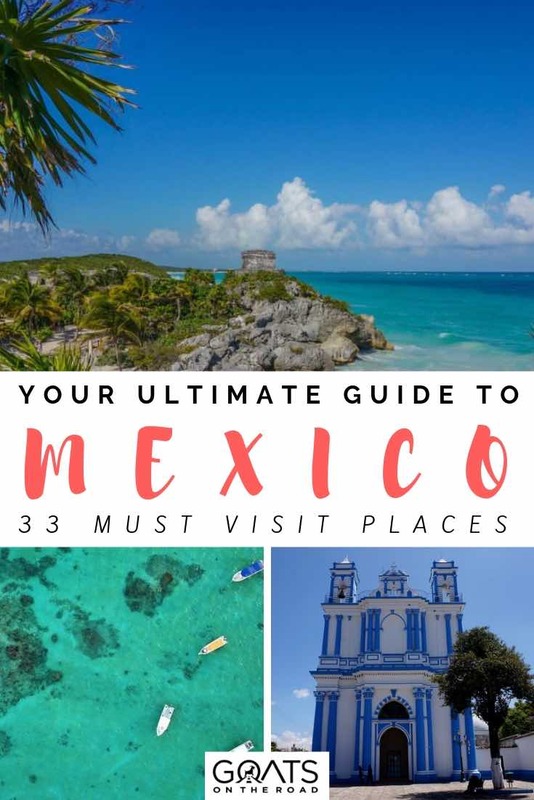 These are just 33 of the best places to visit in Mexico, a list that could easily top one hundred. It’s a vast, diverse, and incredible country with a fascinating culture. From its lively capital to its ancient ruins, pristine beaches to colorful colonial towns, Mexico ticks all the boxes for a perfect travel destination. The fact that Mexico has some of the best food in the world is just the icing on an already incredible cake. The question isn’t whether or not to go to Mexico, but rather where to go in this amazing country. Hopefully we’ve given you some good ideas. Mexico is waiting for you. Vamos, amigos! Mexico is one of my all-time favorite tour destination, thanks for sharing this post, really interesting to read, the pictures are stunning too. There are certainly dangerous areas in the world, not just Mexico, look at what’s happening in the U.S. crime happening all over the country every day, central and south America are also dangerous places so why just pick on Mexico? American media/government have done so much harm to Mexico’s image in the world. All the places are stunning! Great job! Great picks! I’m definitely on board with Palenque being one of the coolest Mayan ruin sites I’ve ever seen. And it wasn’t *nearly* so crowded as Chichen Itza where I found it a bit like being in a zoo. 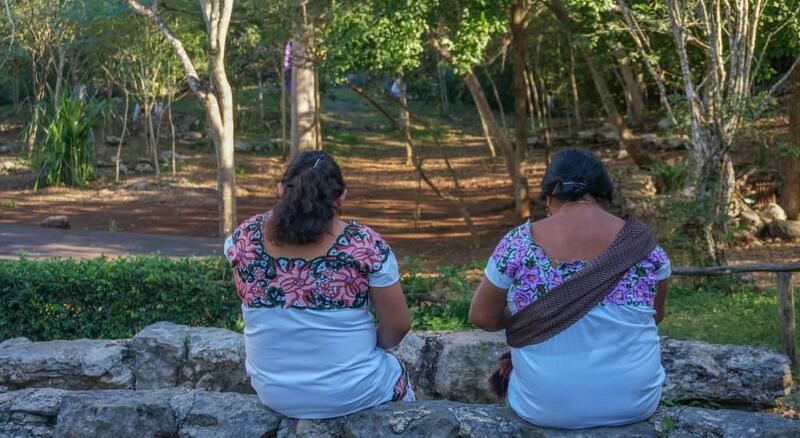 Plus in Palenque you can climb on the ruins and in Chichen Itza everything is strictly hands-off (understandably). Your suggestion for Huatulco is intriguing – I like finding quiet places that aren’t overrun (yet). One of my favourite remote Mexican beach towns is Xcalak, way at the southern tip of the Yucatan peninsula. Thanks for helping me find some places I hadn’t thought to visit in Mexico! Thanks for the article, Sasha! My husband and I are planning a first-time trip to Mexico. I’m hoping you or another reader could give some feedback on my thoughts. Have traveled in U.S.A, but never in a non-English speaking country without a “guided-tour” scenario. We are adventurous, so we are up for “figuring it out” as we go, but a little nervous. Transportation? I would think renting a car would be a sensible option to get around. Is this a good idea in Mexico? Or, is public transportation a better option? It seems like flying in and out of Mexico City would be best, especially if renting a car. Thoughts? I appreciate any tips you (or anyone) can send our way! I haven’t been to all of these locations, but I have spent time in Mexico City, Guadalajara and Monterrey. Mexico City was really fun exciting and lively. Guadalajara was also interesting. A lot of culture and a youthful thing going on. Monterrey on the other hand, was boring, you can see everything which is really only a couple museums in one day. Most the areas in Monterrey seemed seedy. The better areas by the Macroplaza and Barrio Antigue (I think that’s what it’s called) are ok but can be seen in 1 day and really compared to other places in Mexico, is nothin special. The restaurants close very early and I was told not to go walking at night by more than 1 local. When inquiring about some of the outdoors stuff Inwas warned that there had been problems with robberies and kidnappings when traveling into the outskirts. Never had locals in the other areas of Mexico seem almost scared. I wasn’t comfortable when I was there, wouldn’t go back and wouldn’t recommend anyone going there for vacation. It’s really a boring city that is more for business travelers and students for the university. 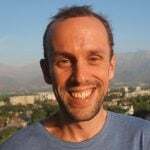 Hey I just wanted to say that I love your articles! 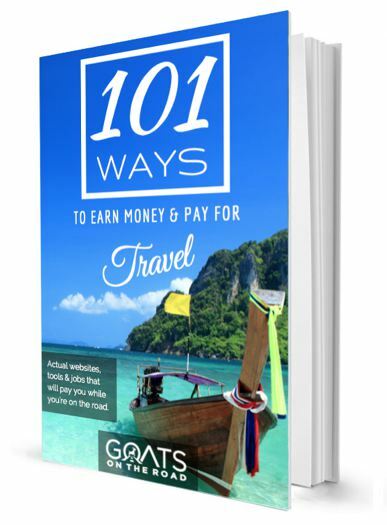 My family and I sold everything to travel full time through Mexico. I use your article for ideas all the time! Thank you so much!! you guys are awesome!